Cholmondeley Pageant of Power (CPOP) released this exclusive video showing highlights from the track, water and in the air over the past seven years. This years theme celebration of ‘power’ on land, air and water with events on the famous Cholmondeley track, the world’s only flying Vulcan and a display from the Red Bull Matadors Aerobatic team. On Friday 12th June, CPOP celebrates Lotus with a parade featuring an example of every Lotus ever made, including new models such as the Evora GTE. 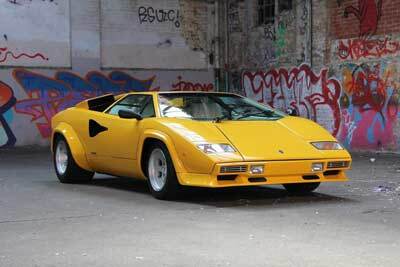 On Saturday 13th June, Cholmondeley pays homage to the Eighties supercar greats that adorned many a bedroom wall – legends such as the Ferrari Testarossa and it’s great rival the Lamborghini Countach. On Sunday 14th June, crowds will be treated to the rumbling sound of many V8s with a celebration of US muscle cars, including icons like the Ford Mustang GT 390. Outside four-wheeled motors, CPOP has a strong two-wheeled offering welcoming bike legends Dougie Lampkin MBE and Sammy Miller MBE throughout the weekend, along with Triumph, the Millyard Viper V10 and a Suzuki Hayabusa. In addition, Sunday will see the world’s only flying Vulcan take to the skies above Cholmondeley for its last ever flight in Cheshire, with the Red Bull Matadors entertaining the crowd with an aerobatic display. This exciting air programme will follow the appearance of the RAF Typhoon Display Team on the Saturday. On the lake there will be a wide range of watersport action including jet ski racing and flyboarding demonstrations. The above, combined with camping, live music from Tenors of Rock and the RPJ Band and hundreds of exciting trade stands, will make CPOP the family-friendly motorsport event of the summer.